Employee Christmas Gift Ideas is the most useful guide you’ll need this holiday season. Whether you are on the lookout for the employee Christmas gift ideas for your coworkers or you are looking for corporate holiday gift ideas for employees, this guide has Christmas gifts that will WOW your colleagues and your staff! Your employees and your colleagues are a big part of your success story. In fact, they make a lot of things possible. They make sure each of your goals is achieved and your dreams come true. Because dreams become goals and achieved goals become parts of your success. Since your employees have such a crucial role in your company’s success story, make them feel appreciated and special this Christmas. Show your gratitude and give your staff recognition they really deserve by gifting them with CLEVER, FUNNY, and UNIQUE Christmas Gifts. The process of selecting the perfect Christmas gifts for employees is different for each business owner. Maybe you grew tired of gifting gift certificates every year to your employees. Maybe you want to shop around for more personalized options that will show that you see and appreciate an individual in your employees. And, probably, while you want to surprise your employees, you also need to find AFFORDABLE Christmas Gifts that will fit your company’s budget. Here is a comprehensive list of employee Christmas gift ideas that are completely unique, high quality, and that are under $30 each. Red and green are not the only colors that will spread the holiday cheer. Pink can do it successfully, too! Racerback Tank-Top is one of the best unique but inexpensive employee Christmas gift ideas. This semi-fitted tank is 100% comfy and 100% layerable. We made it using 6o percent ring spun combed cotton and 40 percent polyester. 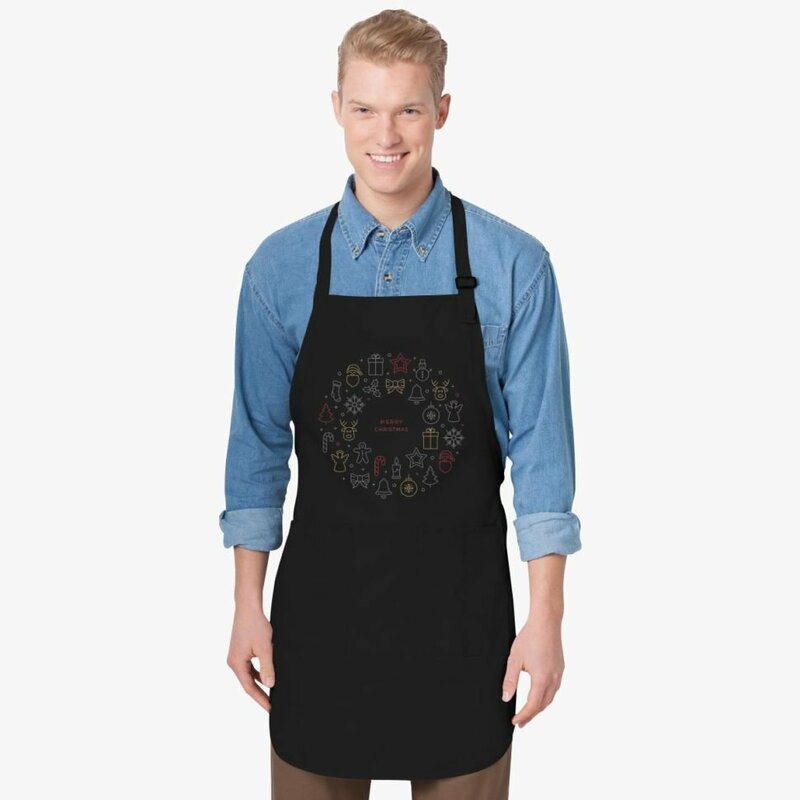 If you’re in the hospitality industry, this Christmas Apron is a wonderful employee Christmas gift idea! The apron has a soil release finish and gives a full-length protection. Christmas Apron features two waist-level patch pockets, a pen pocket, 1-inch wide neck and waist ties, and an adjustable neck strap. The measures are universal – 22″w x 30″l. 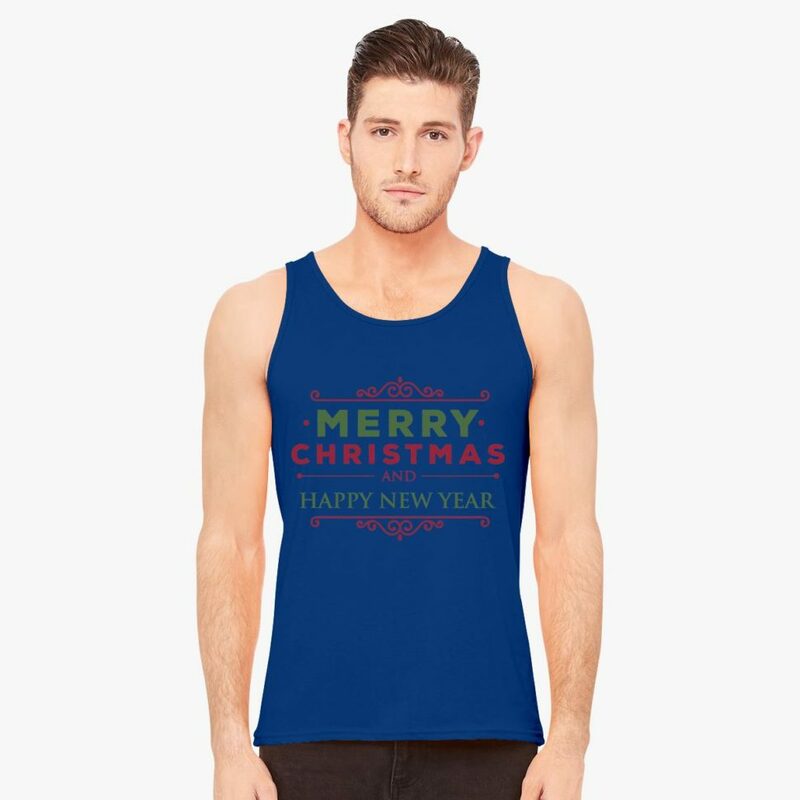 This Christmas Men’s Tank-Top features a nice loose drape perfect for winter layering or going wild at the company Christmas party! We make this tank-top using fine jersey, cotton with 10 percent polyester. 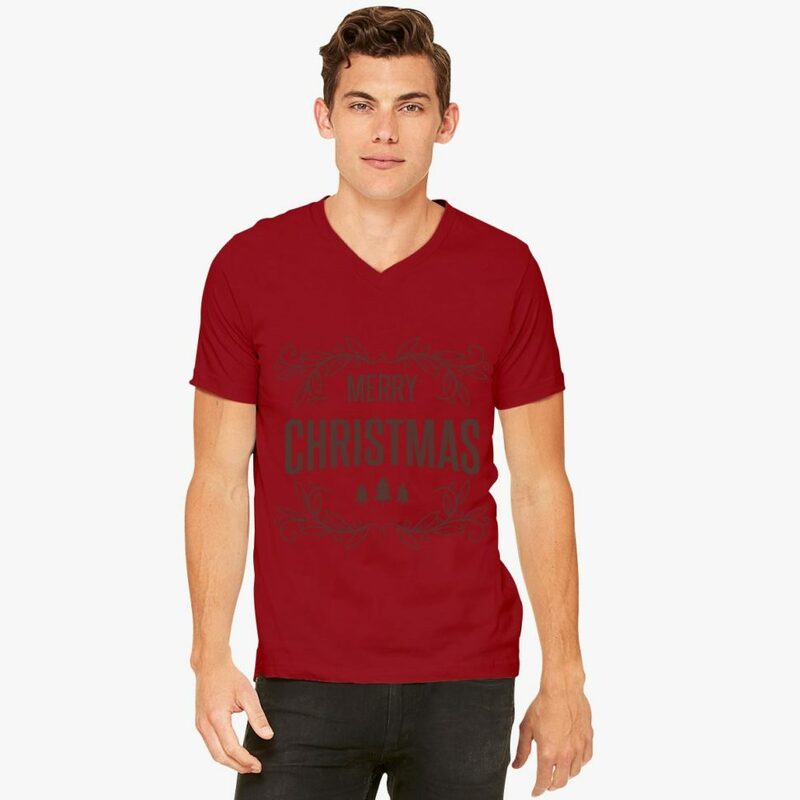 This Merry Christmas V-Neck T-Shirt is the softest, the smoothest, best-looking V-neck T-shirt available anywhere!  We create it using 4.3 oz., fine jersey 100 percent cotton with construction heather grey that contains 10 percent polyester and a durable rib V-neckband. 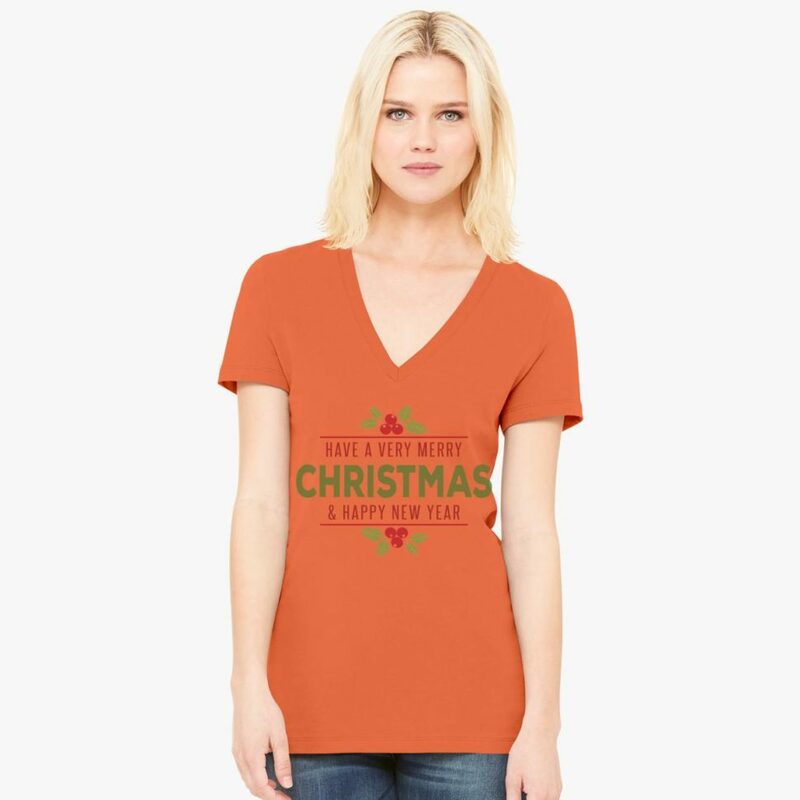 This Merry Christmas Women’s T-shirt is cute and subtle yet festive! You female employees will love it, guaranteed! Christmas represents new life, new beginnings, a hope, and faith that all will be good. Share these wonderful feelings with your employees and make them into your mutual plan with this festive Presepio Women’s V-Neck T-shirt. Christmas is also about gifts, Christmas Tree, and Santa! 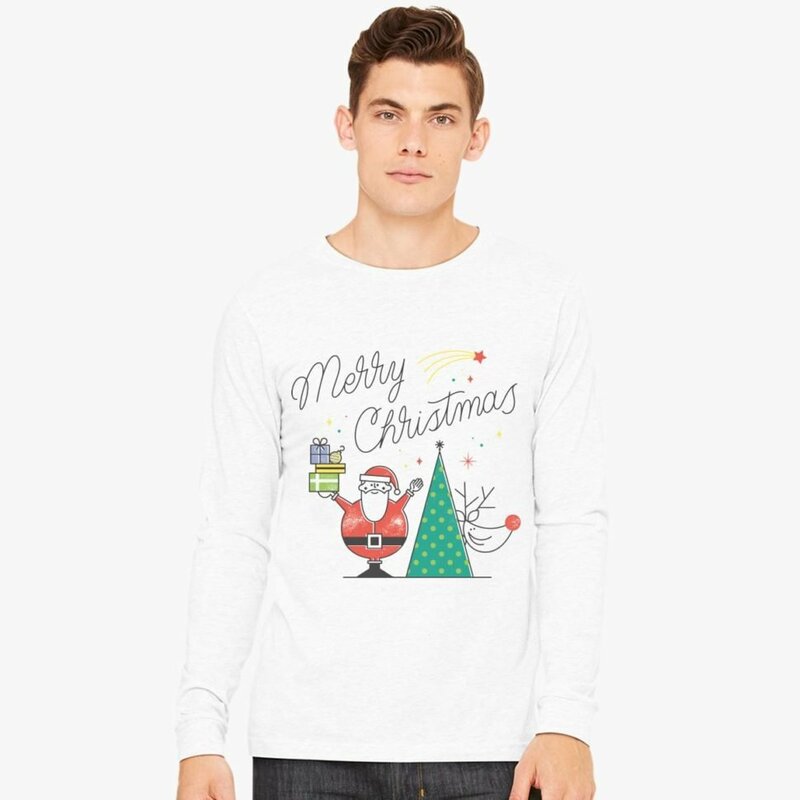 Remind your employees how good it feels to receive gifts and feel appreciated, with this Merry Christmas Long Sleeve T-shirt. 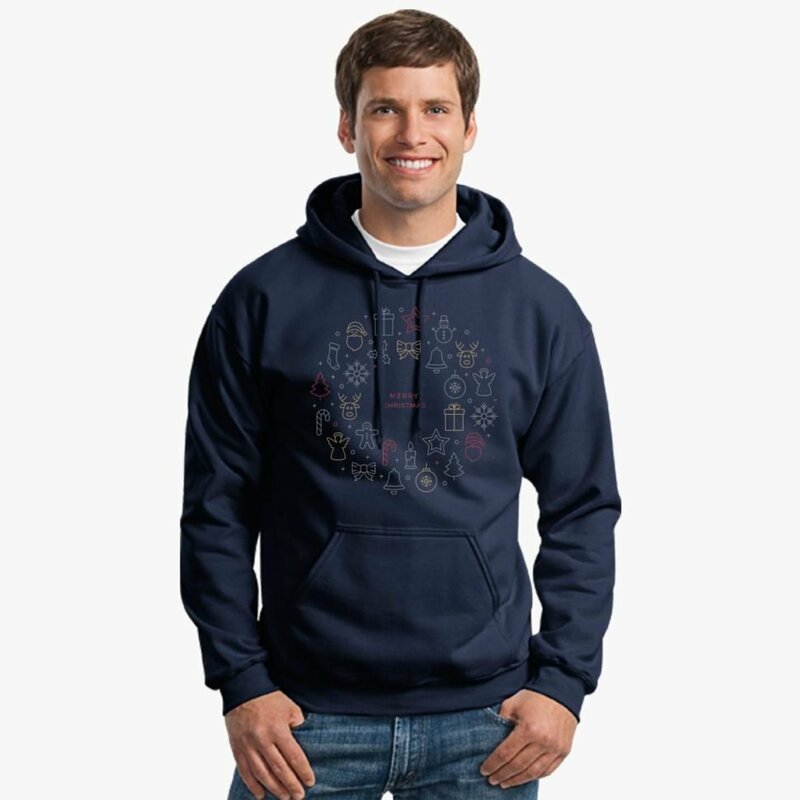 If you can spend just a bit more on the Christmas gifts for your employees, we have some totally unique and beautiful holiday designs printed on high-quality items like hoodies, long sleeve sweatshirts, and Christmas Baseball T-shirts. They are all under $50 each! Their high quality and original designs will surprise your employees and make them feel special. Because your employees are special and highly important for your company’s growth and success. So make them feel appreciated and let them see how grateful you are! 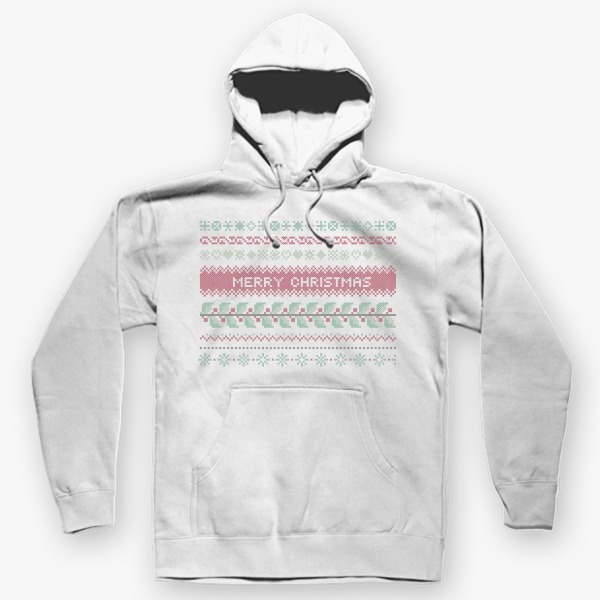 This Christmas Hoodie comes in many colors and sizes from Small to 4XL. It contains 50 – 50 cotton – polyester, and up to 5% recycled polyester from plastic bottles. It is bar-tacked dyed-to-match drawstring. It has cover-stitched armholes and waistband, pouch pocket, rib waistband, and cuffs. 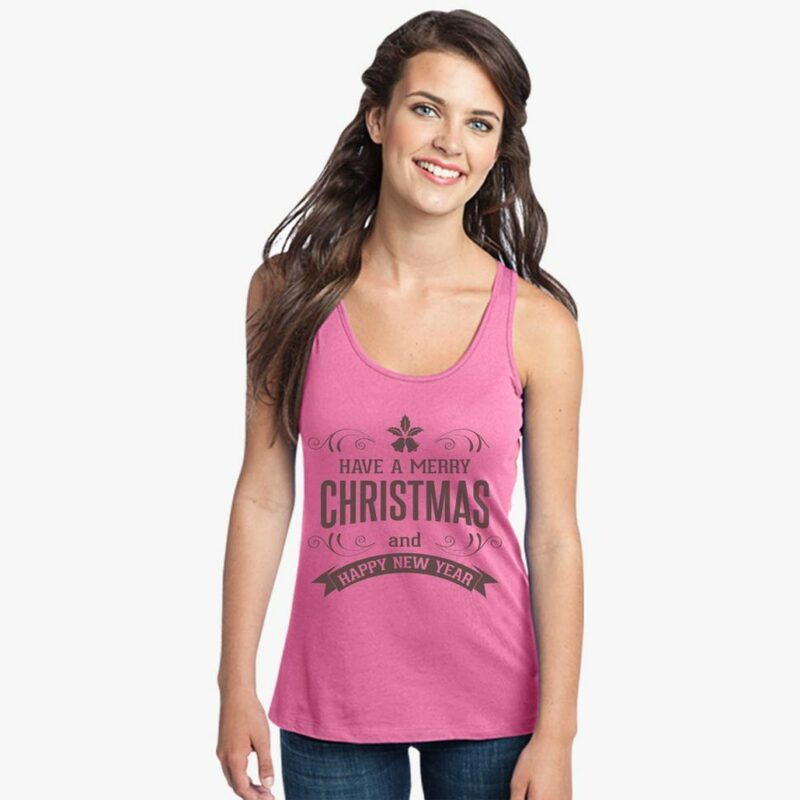 The Merry Christmas Women’s V-Neck T-shirt comes in red, green, black, turquoise, pink, purple, blue, gray, and white color. We have them available in sizes from Small to 2XL. 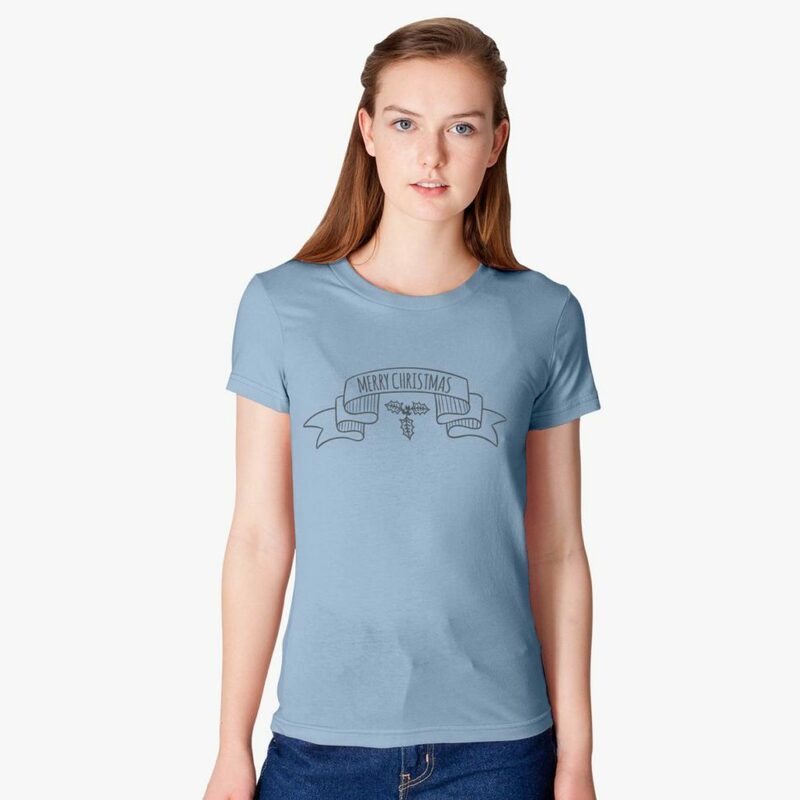 While featuring a modern feminine fit classic V-neck, this t-shirt provides a great quality. 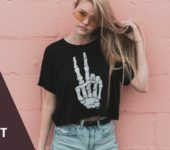 It is made of 100% combed and ringspun cotton and features a retail fit, fitted side-seamed sleeves, and Jersey short sleeve deep V-neck tee. 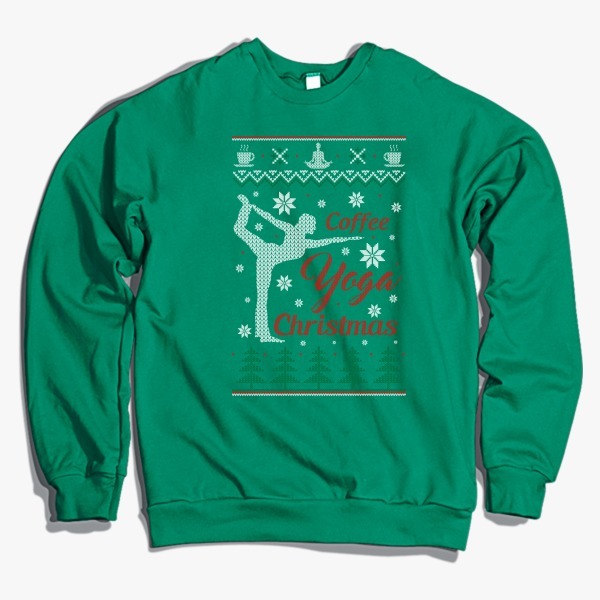 This Christmas Crewneck Sweatshirt is one of the best Employee Christmas Gift Ideas as it is festive, but also a little bit funny and cute. While avoiding generic Christmas messages, by gifting this Christmas design, you will show your personal taste and non-conventional ideas. We made this t-shirt of 100% fine ring-spun combed cotton. The lightweight fine jersey is exceptionally smooth, tight-knit, and form-fitting. 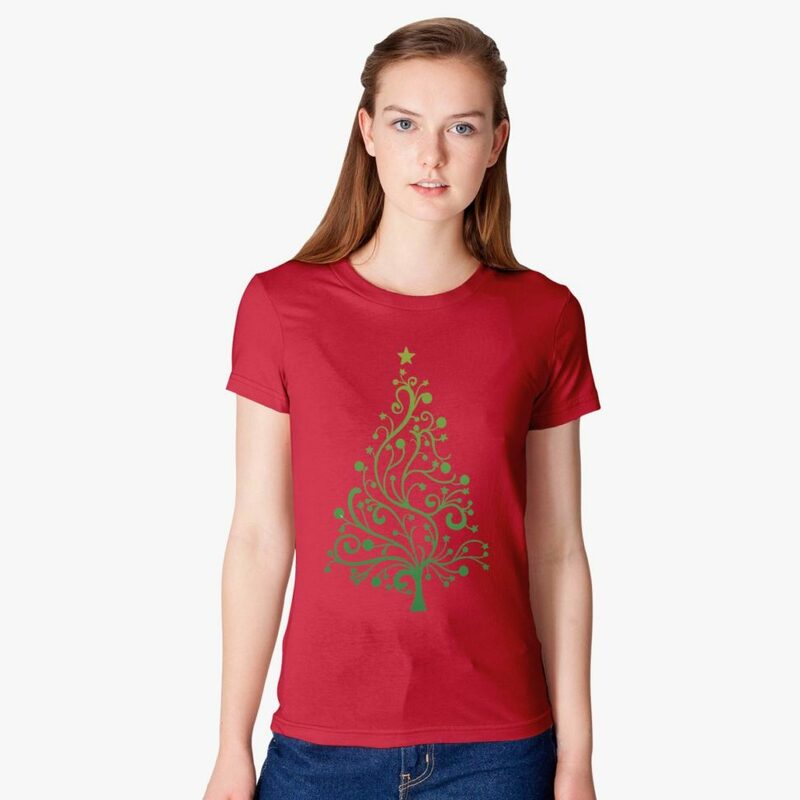 The Christmas Women’s T-shirt features a tubular construction and a durable rib neckband. 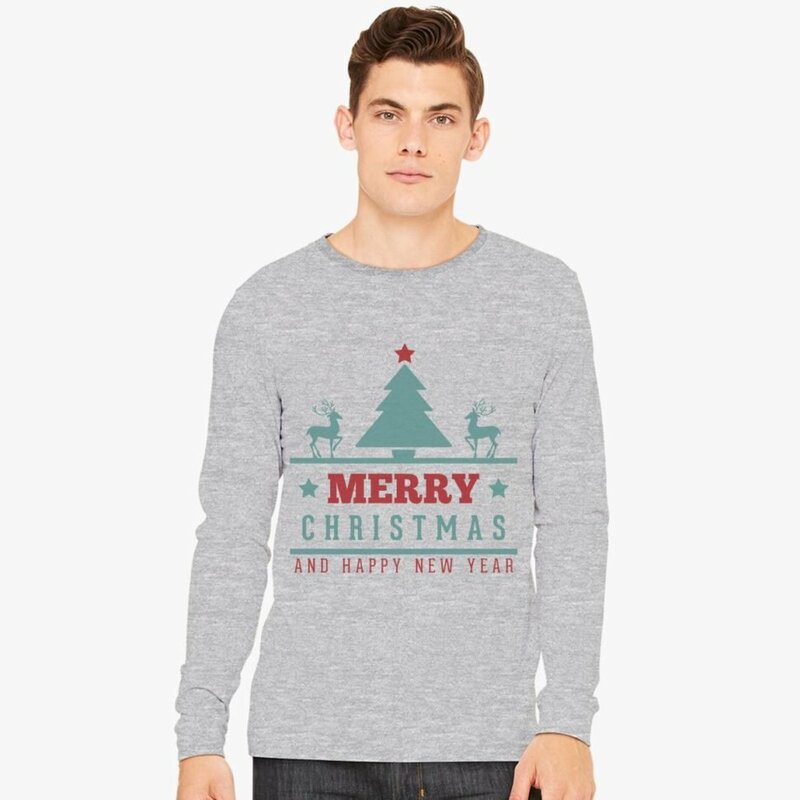 The Merry Christmas and Happy New Year Long Sleeve T-shirt is a great Christmas gift for male employees. People love this model. It represents the long sleeve version of our best selling T-shirt. 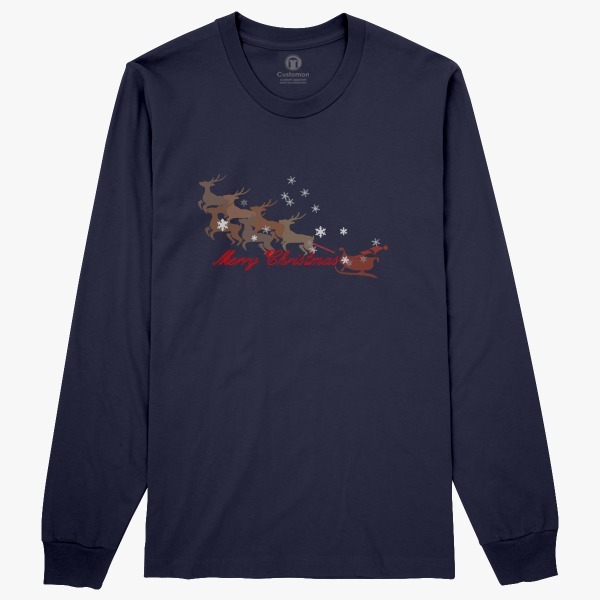 Christmas Long Sleeve T-shirt comes in many colors and sizes from Small to 2XL. Superior quality and great design, well priced. 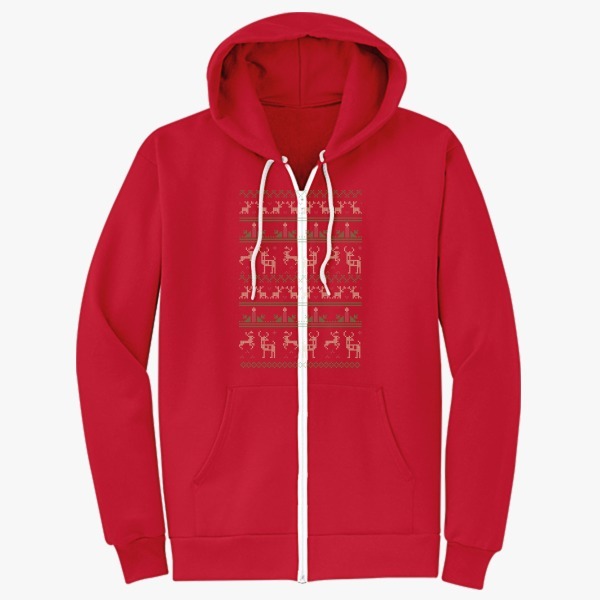 There is no better Christmas gift than a hoodie – warm, comfortable, and fashionable. Plus, a Merry Christmas design will make your employees feel festive during the whole Christmas and New Year season! 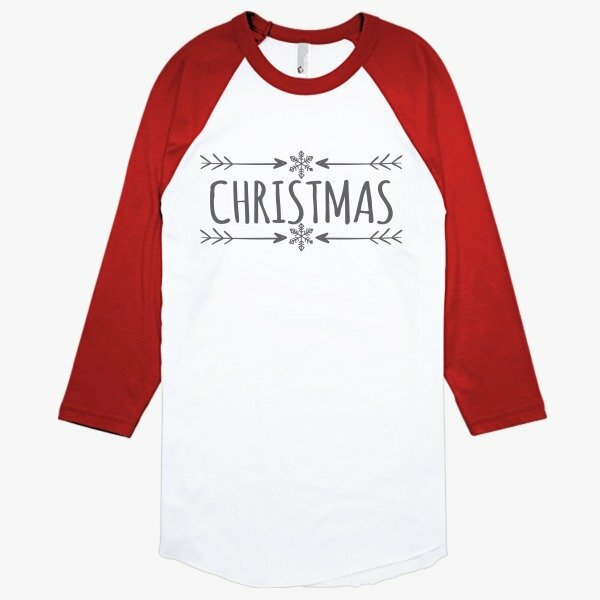 If you have that one staff member that can’t get enough of sports, this Christmas Baseball T-shirt will be an amazing Christmas gift! We made a modern version of the traditional baseball raglan that is soft and lightweight in our poly-cotton blend. An independent artist deserves all the praise for this great Christmas design. Organizing a Christmas Party is a great idea for this holiday season! Christmas parties are a wonderful opportunity to connect with your employees and talk about something else other than work. However, a Christmas party only is not enough for showing your appreciation and gratitude for your employees’ hard work. While talking about hopeful things, a brighter future, your families, and new prospects for growth, you’ll want to encourage your employees and make them laugh. Forget about the past hardships and show your employees the bright future ahead. 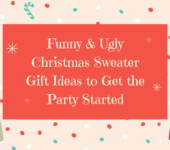 These funny ugly Christmas sweater designs will make everyone at the Christmas party feel cheerful and look fashionable. 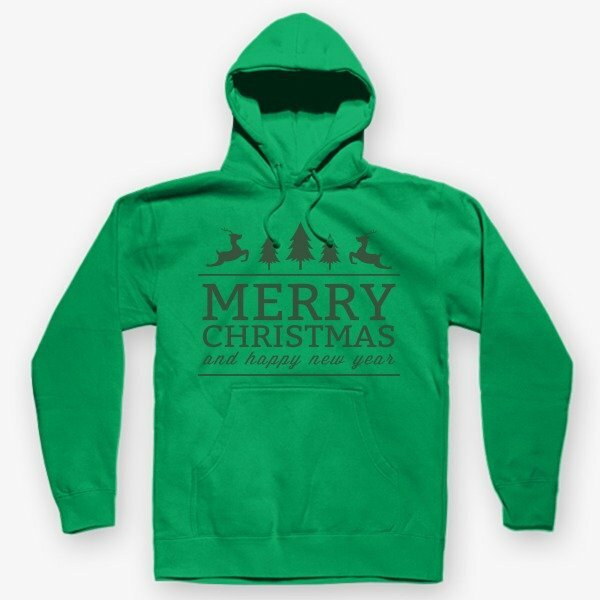 This Christmas Zip-Up Hoodie is a soft sweatshirt that comes in awesome colors. 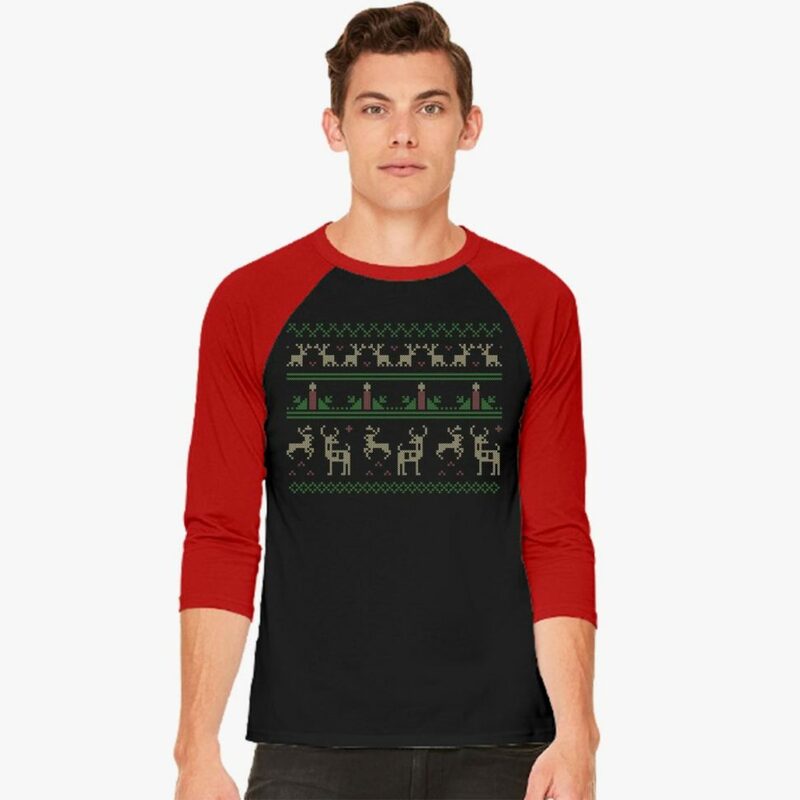 Ugly Christmas Sweater Design makes it one of the best gift ideas for employee Christmas party. We make it using 60/40 combed ringspun cotton/polyester. It features an athletic heather that is 90/10 combed ringspun cotton/polyester. Marbles are 85/15 combed ringspun cotton/polyester. There are also a white drawcord and zipper tape, metal zipper, and a split front pouch pocket. With these unique and funny gift ideas for employee Christmas party, you could even organize a Christmas Party Contest! It would actually be hard to choose which design looks best. The long sleeve t-shirt comes in sizes S – 2XL and in navy, black, gray, red, white, and blue color. If you have that one staff member or more who cannot get enough of their favorite team, then this Christmas Baseball Zip-Up Hoodie is one of the best employee Christmas gift ideas. Plus, it comes with unique ugly Christmas sweater design! We showed you here only some of the many Ugly Christmas Sweater Designs artists created for you this holiday season. Find them all at Funny Ugly Christmas Sweaters. Your employees will appreciate you thinking of them. The best gift will be you appreciating them always but Christmas is a convenient time to actually show them how much you appreciate and how much you are grateful for their hard work and time. Different people like different things and you cannot pick the perfect Christmas gift for all the people who work in your corporation. Still, you shouldn’t go with predictable gifts like lottery tickets, sports tickets, or a bottle of wine. Choose unique, original, special, and you’ll be remembered as an employer who knew how to pleasantly surprise and laugh his employees. Our corporate holiday gift ideas that are affordable include mugs, travel mugs, phone cases and caps. Everyone needs these and although they seem like universal gifts, once you see the unique messages and designs on them, you’ll see how unique and personalized they are. And, another great thing about them, you can buy them from us in bulk! 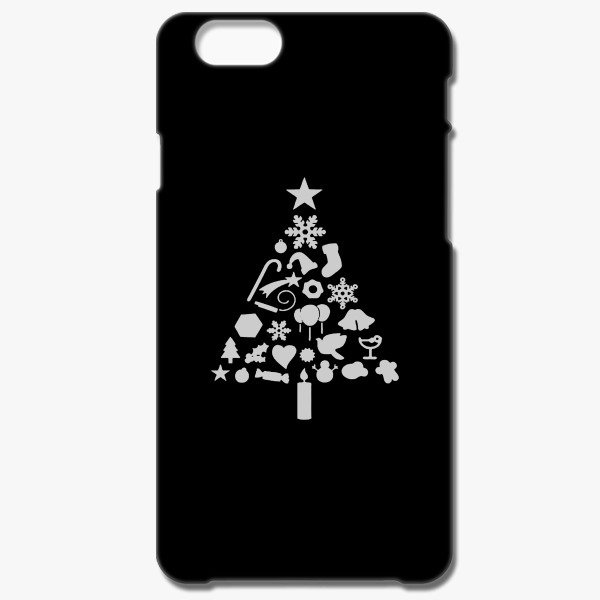 Your employees can customize their iPhones with this form-fitting, Christmas themed cover. Plastic black shell surrounds all sides, while still providing access to all ports and buttons. 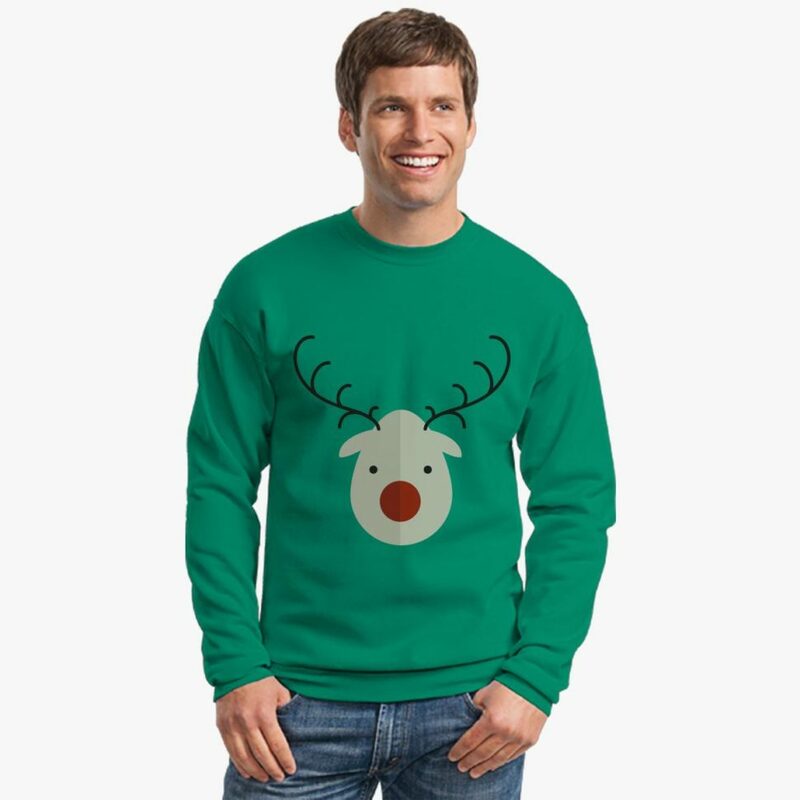 This is the perfect way to spread Christmas spirit throughout your corporation and show your unique Christmas style! Just be aware that we design these cases to fit the iPhone models only. 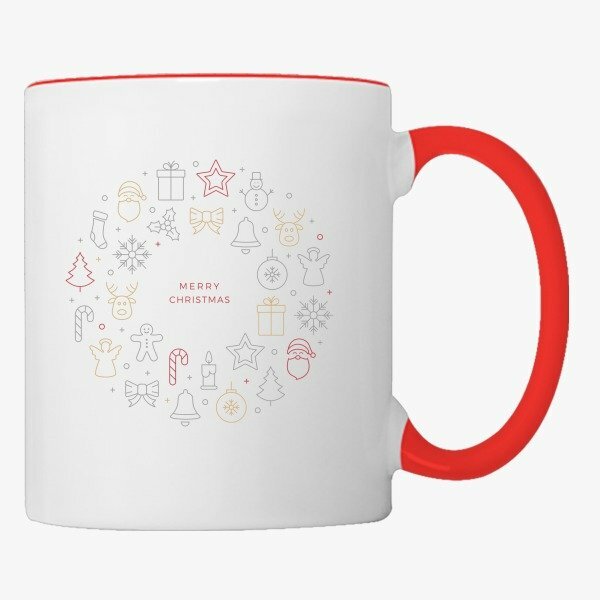 This Christmas Coffee Mug is actually our famous, high quality, ceramic Super Mug, now specially designed for Christmas! It is specially coated for sublimation transfer and is dishwasher and microwave safe. This stainless steel travel mug features a 14oz. capacity and an easy-grip handle with a thumb rest. It has a tapered bottom that fits in all standard cup holders. The lid has a slide opening and slanted drinking surface. 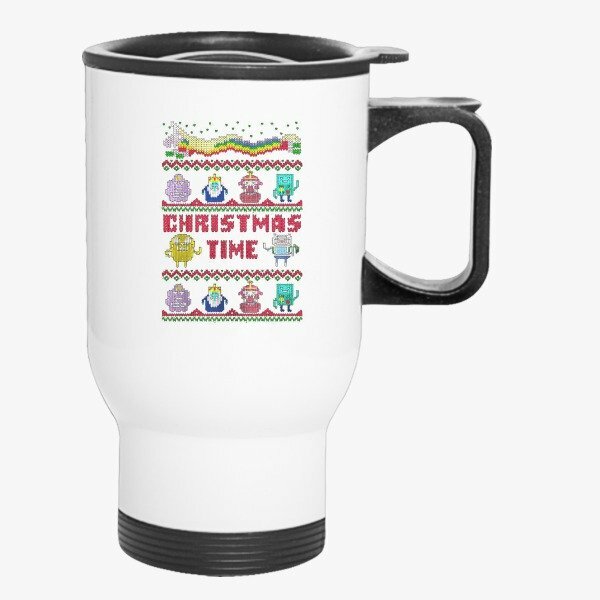 Christmas Time Art Travel Mug may be just the perfect corporate Christmas gift for employees who travel a long time to work or often go on business travels. 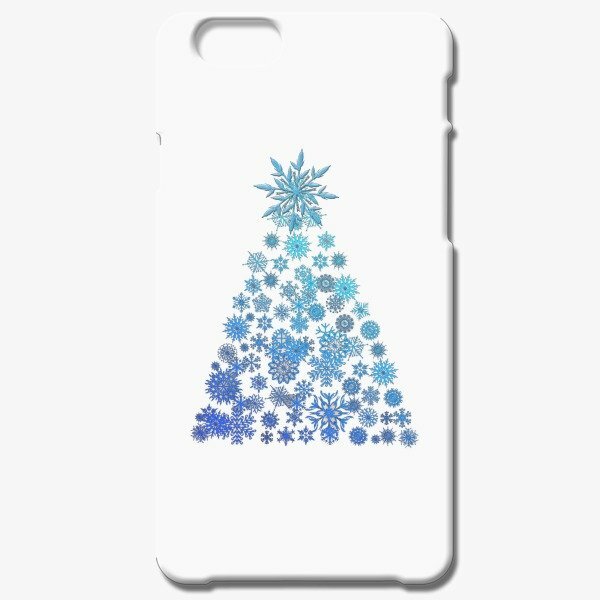 This beautiful white Christmas Tree iPhone 6/6S Case comes in models: 4/4S, 5/5S, 5C, 6/6S, and 6/6S Plus. The phone cases are especially great Christmas gift ideas for corporate employees if they use company phones. Giving gifts to your employees for Christmas doesn’t have to be hard. 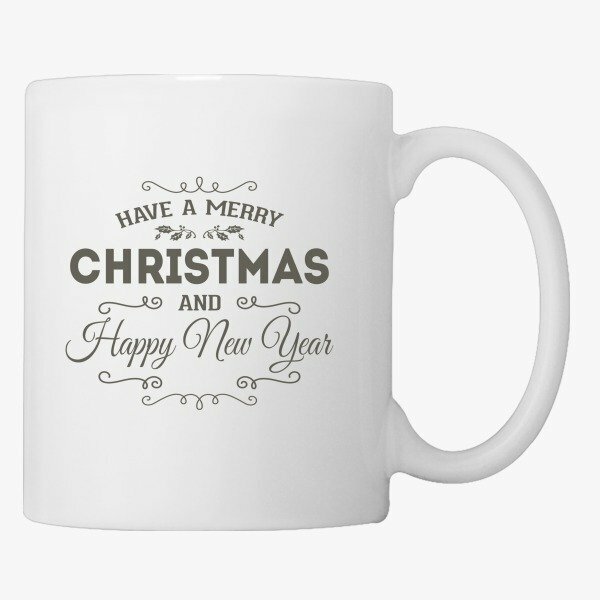 We guarantee it won’t be if you choose this Christmas Coffee Mug. It’s so beautiful that it actually may become their favorite Christmas mug! Silver is as much Christmassy as red, green, or white color! Combine it with all Christmas words we are saying to each other during the holiday season on a travel mug, and you get this perfect Christmas gift idea for corporate employees! Spread the Christmas joy in your company! Find the best Employee Christmas gifts selection in bulk here at Customon. Source inexpensive and affordable Christmas gifts for your employees, regardless of the size of your company. 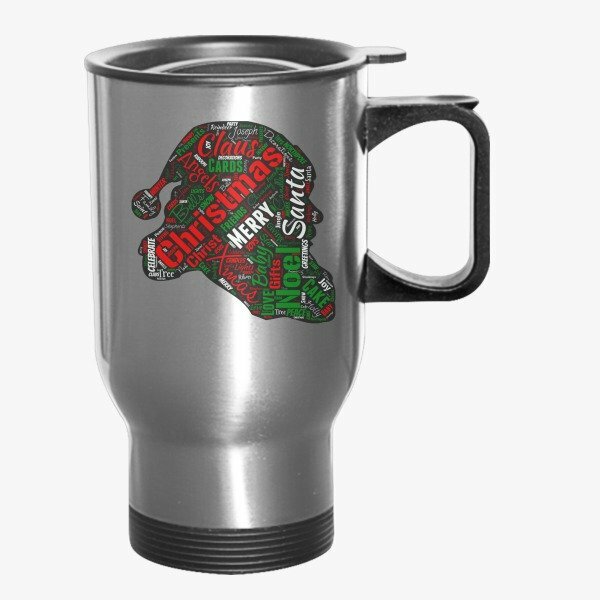 We have high quality, unique, clever, and personalized Christmas gifts, great for both small businesses and big corporations. Choose the products, designs, colors, and sizes, and order as soon as possible, because the Christmas is near! You can find here all Christmas Gifts. If you have any questions regarding the numbers of Christmas gifts you can order, the sizes, designs, or tracking your orders, feel free to contact us.